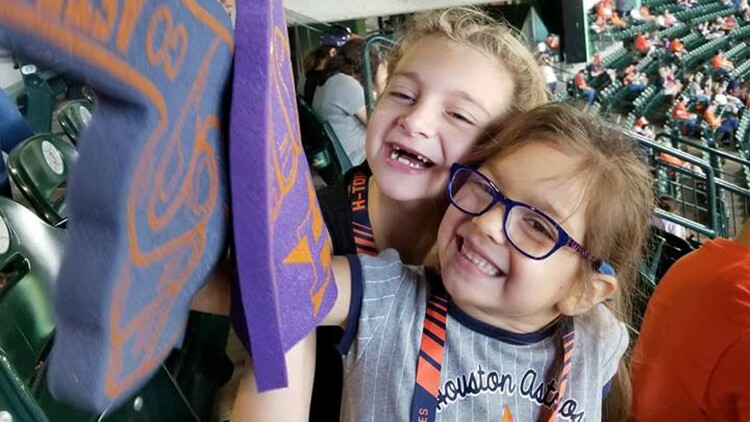 HOUSTON — Astros players and fans are rallying around a little girl who was bullied by an adult woman during a recent game. The look of fear and confusion on the little girl’s face was heartbreaking and she immediately stopped cheering. “This poor baby shut down. Completely defeated and refused to cheer the remainder of the game in fear she would get in trouble by this lady again!” Chloe’s mom posted on Facebook. When Chloe's dad asked her what the lady said, Chloe just shrugged and turned away. It wasn't until later, the parents watched the clip on Monica's phone and realized what happened. When they asked Chloe about it, she was ashamed. “She felt embarrassed. She felt she was annoying and, that alone, was heartbreaking to hear,” Beaver told KHOU. Beaver said her daughter has a mood disorder called DMDD, which means she can’t always control her emotions. So it was a big step for Chloe to attend the games with her family. “To find an outlet for her to positively express herself and now because of a stranger that may have been ruined!” Beaver posted. When Astros players learned about the incident, they went to bat for Chloe. “Chloe, don’t you EVER stop cheering! I would love for you to cheer us on, as LOUD as you can, during ALDS game 1 in MMP! I would be honored to leave you a ticket!” Pitcher Lance McCullers Jr. tweeted. McCullers Jr. said he’ll also make sure Chloe has her own Astros jersey. 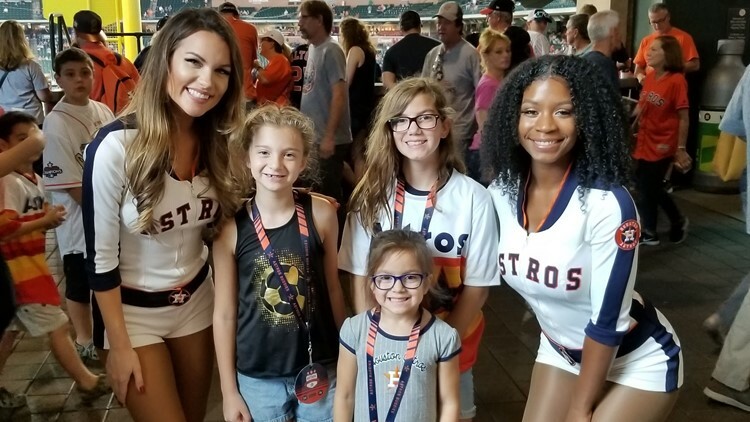 Chloe (second from left) was having a great time at the Astros game until a fan told her to stop cheering. “Don’t let anybody tell you to stop cheering! If they don’t like it then they can go home,” said Outfielder Josh Reddick. Beaver is taking the high road and asked us not to show the woman's face in our video. But she hopes the woman and other fans learn from what happened to Chloe. “Mental behavior disabilities, you can’t see them ever. You can’t. With this situation, if you have a problem with the child, talk to the parent, not the child."